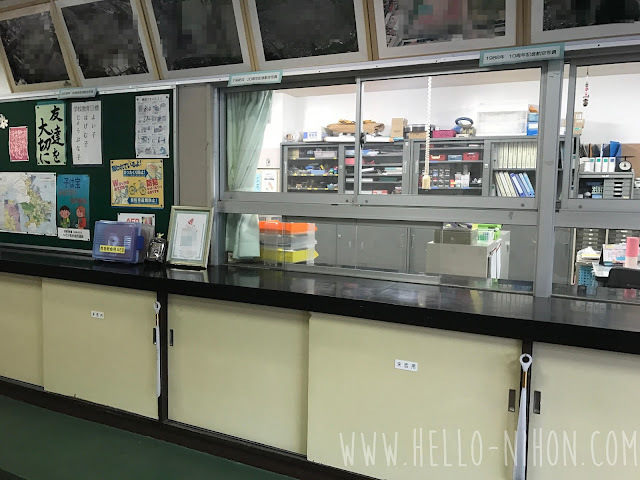 Perhaps the most important place of any school is the genkan area. It's where the school sees all its guests and faculty come and go. It's more than just an entrance, though: it's intrinsically linked to Japanese culture, as it's where everyone takes off their shoes and switches to indoor shoes before entering. Each teacher (ALTs included, of course!) will have their own locker. Sometimes, they'll have your name on it (in the case of my elementary school) and sometimes they won't (in the case of my JHS). When it doesn't, it'll usually just say "ALT" on it. Actually, when I came to my JHS on my first day, I looked for a locker and didn't see one for me. 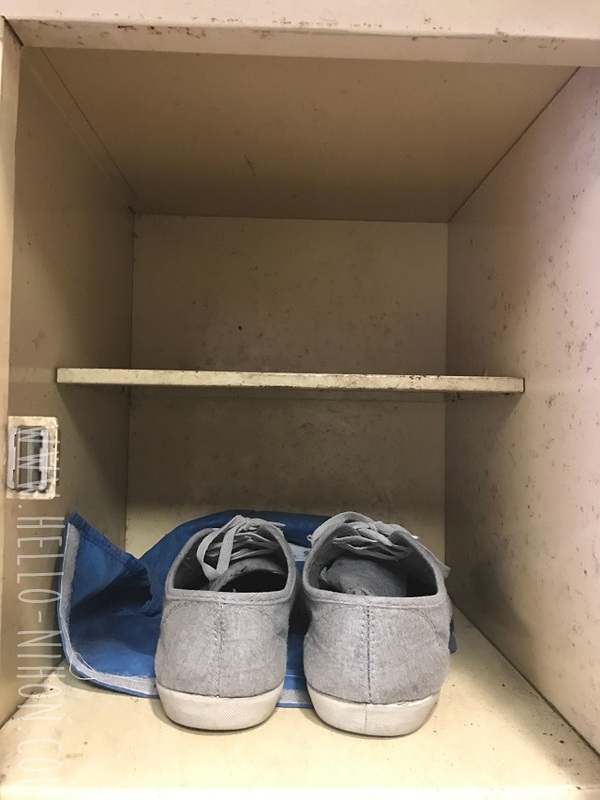 I had to ask one of my English teachers, and they had to scramble to find one for me... Not the best start to the new school year because I definitely felt forgotten about when everyone else had their lockers neatly labeled by the school! The gray shoes are my indoor shoes. I got them from Walmart for like $5. 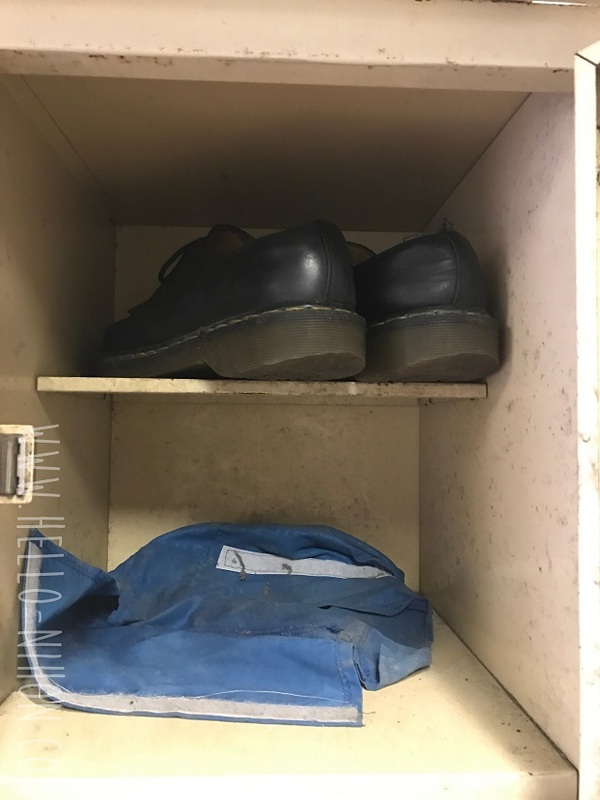 The Doc Martins are my outdoor shoes, that I wear basically every day. The blue thing is my shoe bag that I brought my shoes to school in the first day. But since I decided to just buy two pairs of shoes instead of carrying one pair between my different schools, there was no need for the shoe bag, which is why it's just kind of there. 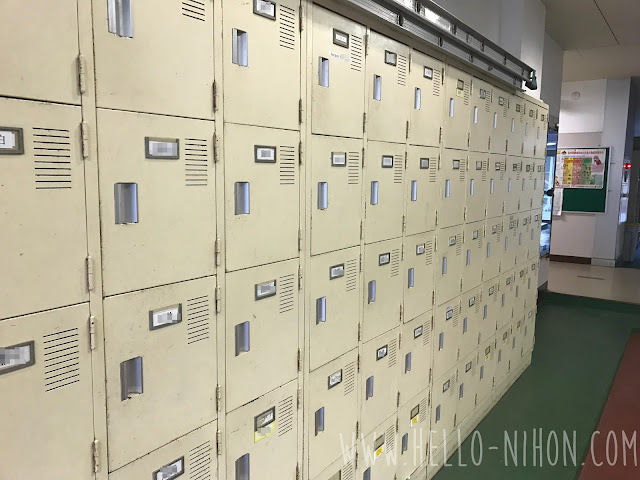 To the side of the lockers is the reception area. Behind those windows is the "jimushitsu" or the office room/place you can get supplies from. The inside workers are kind of like secretaries, and they handle a lot of the day to day business of the school. Actually, my first school didn't have a greeting area like that. 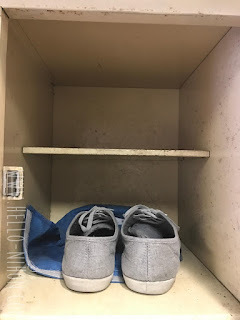 The faculty entrance was right next to where the third years put their shoes, a layout that I haven't seen since. Usually, the students come in through a different entrance. However the case, there will always be a genkan area and there will always be a place to put your shoes! I've heard about it. My friend said he read something similar to click here.